You are here: Home / Paper&Cardboard / cardboard / Happy Easter Cards! 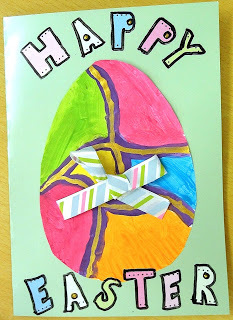 An idea for Easter Cards by a wonderful teacher of Cherry Garden School, just to wish you all a happy Easter! Colored cardboards, painted with spring colours and gold painting, decorated with ribbons, wrapping paper for letters and sticks.